Dr. Stan “The Stats Man” is currently on vacation. To keep the blog current I will be submitting postings written by students in my Baseball and Statistics course at Quinnipiac University. The posting below was submitted by Julianne Giordano, a Post Undergraduate student, and is about a special sports day in the life of her father. In my own life there was that one special day when I was playing basketball in high school and wound up winning the game by stealing the ball and then scoring the winning layup as time expired. The team surrounded me and it was the biggest sports moment of my life. If you have a special sports moment you would like to share with my readers please email me and I would be happy to publish it. Here is Julianne’s posting about her father’s special day . It is interesting to think what would have happened if the home field wasn’t flooded or if the other pitchers on the team were having great games. This is just one of the many stories I’ve heard from my father regarding baseball and each one is as entertaining as the last. 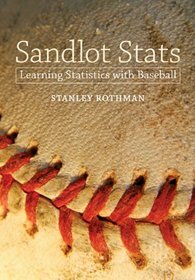 He loves talking baseball with just about anyone he can find, so I was considering introducing him to my baseball statistics professor. That is, until I found out Professor Rothman is a Yankees fan (my father is a die-hard Mets fan).